Commit to achievement in your mind and pursue it. And some have greatness’ thrust upon them………William Shakespeare. The famous quote above from Midsummer’s night’s dream, describes how leadership and success is arrived at for many people. Some are born great; birth and background. Some achieve greatness; they strive by their own efforts to reach the achievement what they want. Greatness thrust upon them; no one else will do it. So often by default or accident someone arrives at having to be the one to do the task. Only a few are born great and only a few have greatness thrust upon them. Most would have to choose to achieve their greatness. For those that have to choose it, the day comes when they realise that; if you want achievement they are you going to make that decision and commitment to achievement in their own mind? And believe that decision to be true? Yet the majority choose to avoid greatness. It is believed from many surveys that 95% – 97% just choose to go with the flow. I doubt that that is you for you are hear now reading this item. 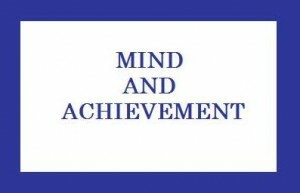 Most of us that want achievement have a dream or goal in our mind. We try to reach these planned achievements all too often they do not come on the first or second attempts, but many attempts are required. When we do not reach our goals after a number of attempts many become disheartened and give up. There is a very real pain when your efforts are not rewarded, but you have to use that pain and not be beaten by it. Real achievers’ that are committed in their minds to greatness, know that they must keep on trying till they achieve just what they set out in their own minds to achieve. Commit to achievement in your mind and pursue it every day; Tony Brassington.